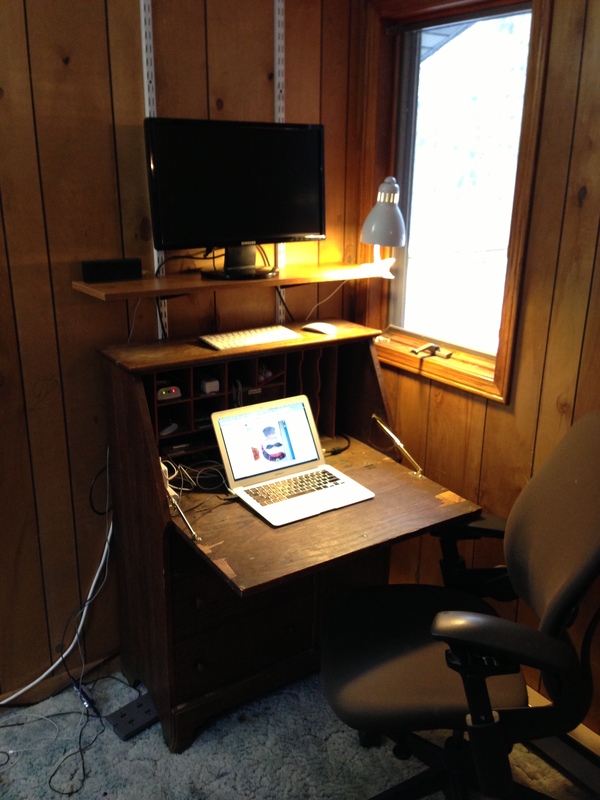 It’s time to give up the dedicated office and scale down to something a little smaller and more compact. I think I’ve struck a nice balance. Behold! I give you a renaissance of the Drop Front Secretary Solid Wood Desk. This desk has been in the family for a while. 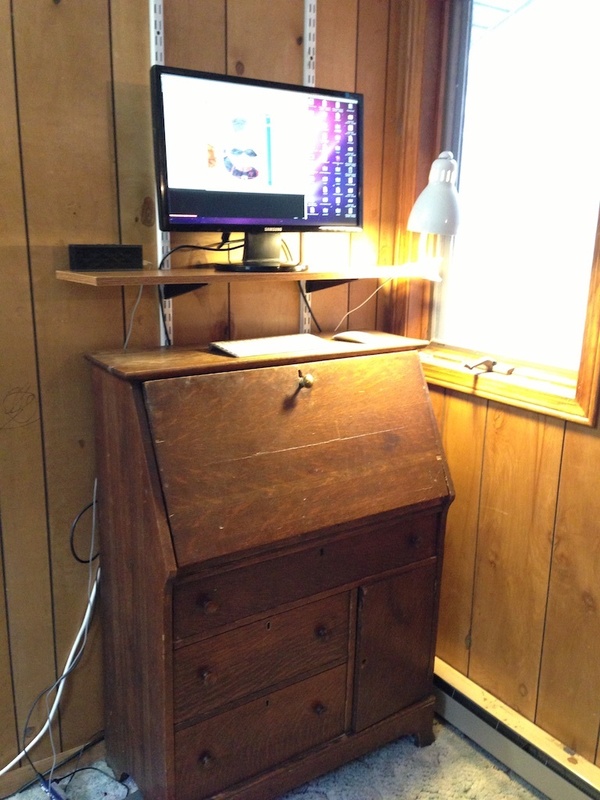 I think my grandparents had this desk in their house, with a few upgrades I’ve made into a modern convertible sitting desk + standing desk.